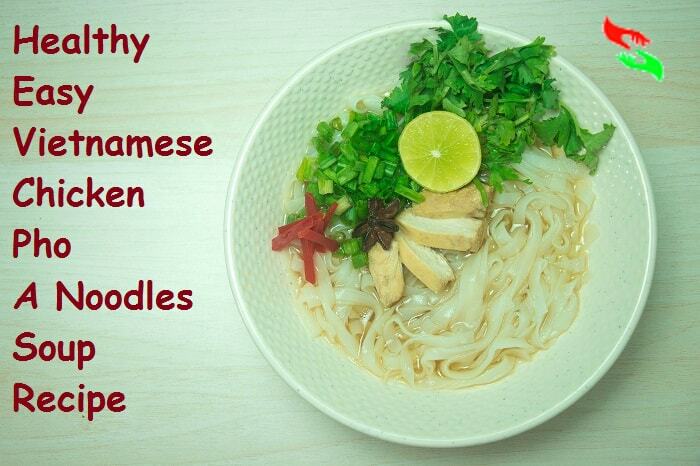 This is my Ultimate Vietnamese healthy Easy pho recipe with Chicken and Noodles. It is a soup kind of dish made with veggies or with choice of meat and with its bone. Though the dish looks off-white in colour. But It tastes so flavourful and not bland in taste. I heard that in Vietnam they use beef to make Pho soup. But I used chicken as I don’t eat beef. 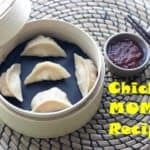 I make this recipe with chicken only. So If you like beef you can make the dish with it. And hope the dish will taste more delicious Like the My Recipe of Chicken Pho soup tastes. Today I am making the dish chicken pho which is popular as the name by “PHO GA” in Vietnam. GA is chicken in the Vietnamese language. But if you are making the dish with beef meat it’s Vietnamese name would be “Pho Bo”.”Bo” means Beef in Vietnam. Both kinds of PHO is very popular in Vietnam. The dish PHO is invented by the Vietnamese villagers Before the French colonial period started. This Dish PhO is modified in between 1900 to 1970 By a North Vietnamese villages Vân Cù and Dao Cù. The Historical culture Researcher of Vietnam Trịnh Quang Dũng helps to spread the origin of the dish PHO and Its popularity in the early 20 century. As per his Information, That time Vietnamese used to use more beef meats than now in their PHO dish. Because of the Higher availability of Beef meats in those days, they used huge meat in their Pho dish and other beef dishes. Believe that this dish is made and popular by the influence of a Chinese dish named “Ngưu nhục PhấN“.This Chinese dish was very popular among the Chinese workers of Vietnam. They bought the recipe from the “Yunnan” & “Guangdong” provinces of China. Because both dishes look and taste similar they started to have it more to get their homeland food tastes. Why Must you Make Bone Broth for Pho soup? The clear cleaned flavour of the Bone broth is the main ingredient of this soupy dish. 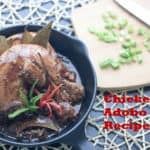 I recommend you to make your own Bone broth for this recipe. If you bought bottled sored bone broth may be the flavour of the dish can be changed after making. Making bone broth for the dish is just simple and so easy. Only you need any meat bone, some toasted spices and chard ginger, onion and garlic cloves. That’s it. A perfectly made cleared bone broth is very important for this recipe to flavour the noodles. I used Flat Rice noodles but if you don’t get it you can use any kind of Rice noodles. Rice noodles are best for this dish. So must use flat rice noodles and not to use white flour noodles. It doesn’t taste good with pho broth at all. This dish is healthy because you don’t need even a single drop of oil to make the dish. Why you Have to use chard onion, Ginger and Garlic cloves for this Healthy Easy pho recipe? The combination of freshly made bone broth, toasted whole spices along with chard onion, ginger and garlic cloves actually make the dish so special in taste. Therefore all those things are very important to make this easy pho soup. Chart or burnt flavour give the dish another level of flavour as well as Tastes. And also these burnt flavours are giving the dish authentic taste. Usually, people of Vietnam never use garlic cloves in their Pho. But I really love the flavour of garlic combined with the flavour of other ingredients. I also used Coriander root in this dish to make the dish more Flavourful. Coriander root is very aromatic and it goes perfectly with the aromas of spices. If you are a vegetarian you can make the same dish with all the same spices and Ingredients except Chicken. You can use TOFU or any Vegetables of your choice in your PHO Soup. Though The PHO BO was so popular in the early days. But in the year of 1930 chicken version of the dish Pho got it’s popularity because that Beef meat was not available on the Monday and Fridays at local markets. From that time to till it’s a Typical Vietnamese street food. Vietnam’s street vendors sold PHo soups On their Mobile small kitchens. I WILL EXPLAIN THE CHICKEN PHO RECIPE IN THREE-PART IN THE SAME PAGE. 1. HOW I MADE THE CHICKEN BROTH FOR PHO SOUP. 2. AND HOW TO COOK THE RICE NOODLES PERFECTLY. PLEASE FOLLOW THE RECIPE IN THE DOWN BELOW AND KNOW EVERYTHING ABOUT HOW TO COOK THIS EASY PHO RECIPE. 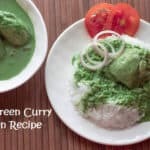 If You have any Recipe Request.Or any suggestion Please let me know in the comment box. 1 Tsp Freshly crushed Black Pepper. Take a Big soup pot. Put 1 ltr of hot water into it. Now put the whole chicken into it. Now take another pan and Dry roast all the spices. Take all the shallots, garlic cloves and piece of ginger and burn them 1 by one in the high gas flame until they burn little. just after all the above steps are done, wash shallots, garlic cloves and ginger in running water to remove the extra burn flecks. Now take the muslin cloth and put all the roasted spices and shallots, ginger and garlic cloves into it. Close the cloth tightly and put it in the Soup Pot. Now crush the Coriander or cilantro roots with the help of the back side of a knife and put it also into the soup pot. Then add crushed black pepper powder, salt and sugar into the soup pot. Mix all the Ingredients inside the soup pot. Now you can turn on the gas and make the flame high to boil the chicken. DO NOT COVER THE POT BEFORE BOIL STARTS. Once the boiling starts, remove the froth or dirt from the chicken stock with the help of a ladle.When all dirt has gone low the gas flame and cover the pot with a lid for 10 minutes. Just after 10 minutes open the pot lid and flip the Chicken to cook properly from both side. And in this stage add fish sauce into it. and again cover the lid of soup pot for another 10 minutes in low flame. After 10 minutes turn off the gas flame and remove the muslin cloth pouch from the soup pot with the help of a Tong. Take another pot.put water into it. Boil the water over the high heat. Once the water boils add rice noodles into it and spread all the rice noodles with the help of a tong evenly.So that all the noodles stay separate after cooking. Cook the noodles for jus 5 to 7-minute in high flame and very quickly remove the pot from the flame and strain the water with a sieve and wash the noodle very fast with the tap running water.when wash the noodles shake the sieve to remove all the extra starch. Now put the sieve over a fitted pan so that all the extra water drained from the noodles. Now remove the chicken bone from the chicken and cut the chicken into pieces or bite-size pieces. Or you can just simply shred the chicken. Take a bowl to add chopped or sliced Red sweet chillies, vinegar, lime juice and salt and soy sauce into it and cover the mixture with a lid. 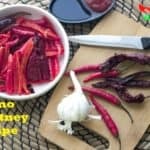 IT WILL BE GOOD IF YOU MAKE THE SAUCE A DAY BEFORE OF PHO MAKING.SO THAT YOU WILL GET A VERY GOOD FLAVOUR FROM THE SAUCE. Decorate the dish as simple as you can.LIke I did. The more things you will add the actual tastes of the dish can change a little. 1. Always remove the dirt from the boiling broth to make smooth clean and clear broth. 2. Never try to cook any meat in very high flame. boil the meat slowly so all the flavours of spices and other ingredients will absorb by the meat evenly and meat will be more delicious after cooking. 3. If you are using any Red meat like beef or lamb for the dish use boneless slice pieces to make the broth along with bone marrow. 4. Wash the chard veggies to remove extra blankness otherwise, the broth will turn black in colour after you add the chard ingredients. Copyright © 2019 Easy life for Everyone. All Rights Reserved.